Seasoned tri-tip grilled over coals of native coast red oak, pinquito beans, salsa, tossed salad and grilled French bread with melted butter. It’s one of my favorite meals and the culinary specialty of the Santa Maria Valley on the Central Coast of California, where members of my family have lived for almost 40 years. Santa Maria-style barbeques originated on ranches in the area. They date back at least to the mid-19th century, when the California mission system gave way to the large Mexican ranchos of the area. 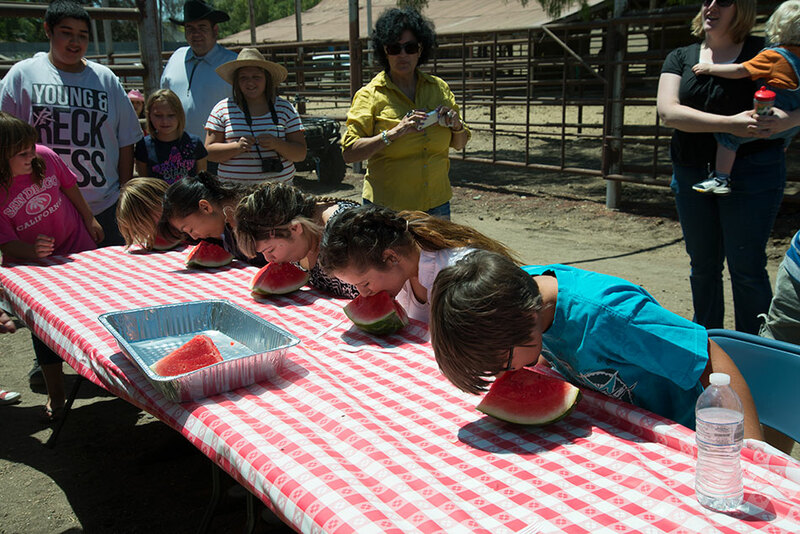 Ranchers would host these feasts for their vaqueros (cowboys) after a long day of branding calves. 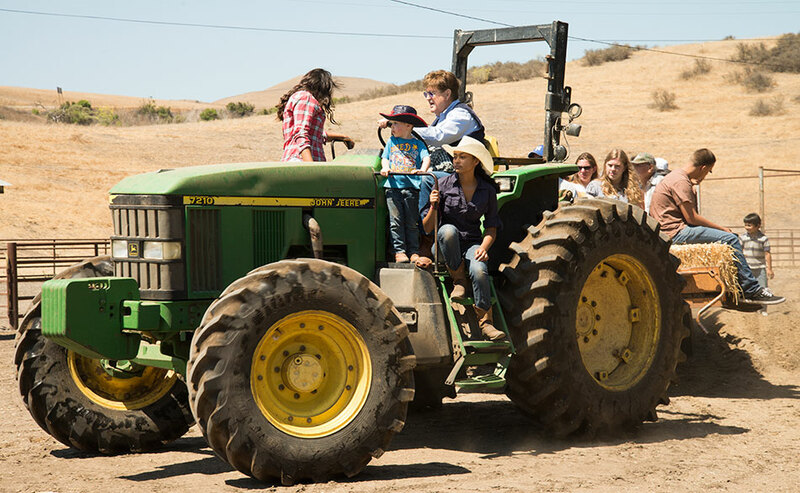 Santa Maria Valley, incidently, is between Santa Barbara and San Luis Obispo on the Central Coast of California. A true Santa Maria home, including that of my family's there, has a large barbeque pit with an iron grill with a hand crank that lifts or lowers the grill over the coals as desired. 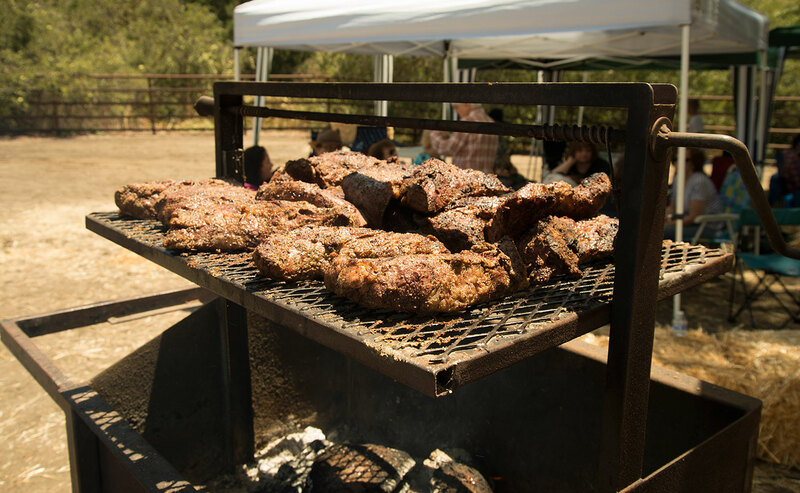 The preferred meat for the barbecue is the superb beef tri-tip that is produced on the ranches in the area. However, pork, venison and chicken are grilled along with the tri-tip at many barbeques. Below, a cook prepares grilled pork at a Santa Maria barbecue. Traditionally, tri-tip is seasoned with a dry rub of pepper, salt and garlic salt – a concoction known as Santa Maria seasoning. An integral part of the meal are pinquitos, small pink beans considered indigenous to the area that are a cross between a pink bean and a small white bean. They are somewhat difficult to find outside of Santa Maria Valley because they are mainly grown commercially there, but they can be purchased on the Internet. A number of local restaurants as well as other groups and parks have large barbecue pits on which Santa Maria barbeques are grilled. Unfortunately for you, my dear readers, the best Santa Maria barbeque chefs are my nephews Alex Espinosa and Brad Jarvis, who only work their magic at family barbecues. Start a fire in the fire pit with oak. Rub the seasoning into the tri-tip before putting it on the grill and then place the tri-tip fat side down on the grill first and get a sear on the fat side. Then turn it so it is fat side down so you get a good sear on the other sides. You can do this while the oak still has some flames. Then move the grill up and let it cook on a low heat. Depending on the size of the tritip, it can take two hours. Usually, you cook it until it is medium well, so it has a little bit of pink. Then you wrap the tritip in foil for ten minutes and let all the juices settle before slicing it and serving it. You can make Santa Maria seasoning yourself and there are many recipes on-line, but my suggestion is that you cut to the chase and use Susie Q's Santa Maria seasoning. Started by Susan Righetti, Susie Q’s foods were created from her family recipes that are used at the local Far Western Tavern. Susie Q’s sells seasonings, sauces, beans and dessert mixes for a Santa Maria barbeque. She also shares her recipes on-line. Her website is susieqbrand.com. Incidently, I also use Susie Q's Santa Maria seasoning for everything from meats, salads and baked potatoes to garlic bread, cottage cheese, cream cheese, butter and salads. It's a rare week when I haven't used it several times. No kitchen should be without it, which makes it a great gift. If you don't have oak, you can substitute charcoal with mesquite chips in a pinch, Brad says. Once the tri-tip is cooked, the bread is dipped in melted butter and placed on the grill. 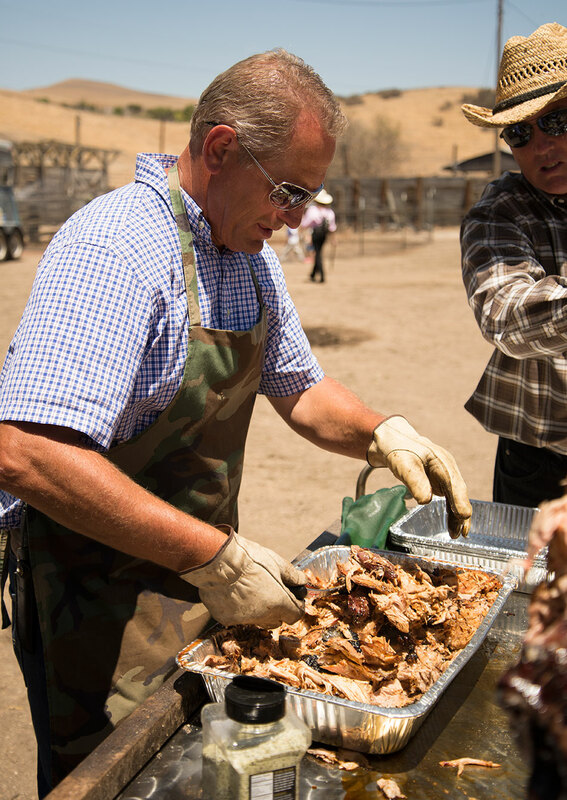 The most famous fan of the local barbeque was President Ronald Reagan, who used Santa Maria chefs for five Santa Maria barbeques at the White House and who often enjoyed Santa Maria barbeque when he was home at his ranch in California. After one such feast at the White House, the White House social secretary described the meal as the best that had ever been served outdoors at the White House. A Santa Maria barbeque is at the heart of social life in the Santa Maria Valley, whether the occasion is a simple Saturday afternoon get together, the Fourth of July, Labor Day, Christmas, a wedding, a graduation, a church party, a birthday, a retirement party or any other landmark event. 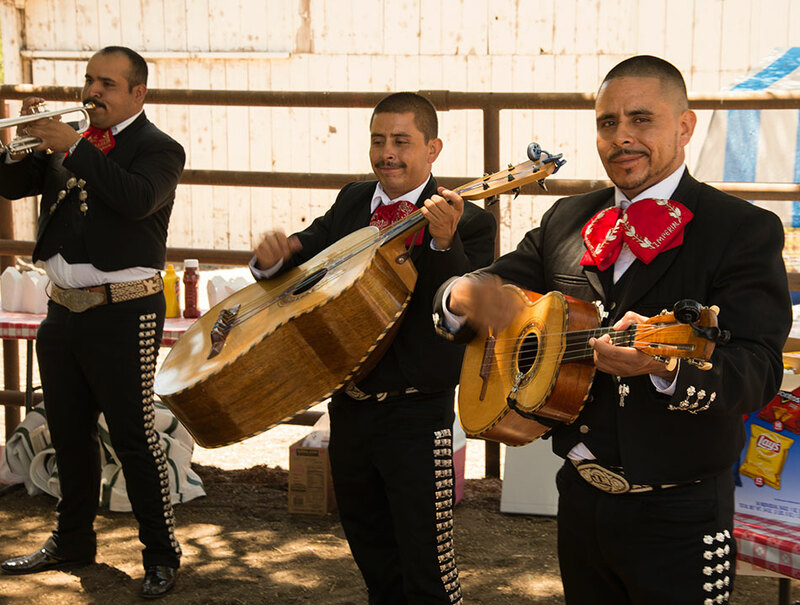 The best of these feasts also include grilled fresh corn on the cob, watermelon, fresh strawberries, tortillas or pasta salad and local homemade desserts, all savored while sitting in the glow of Central Coast sunshine and listening to a mariachi band. 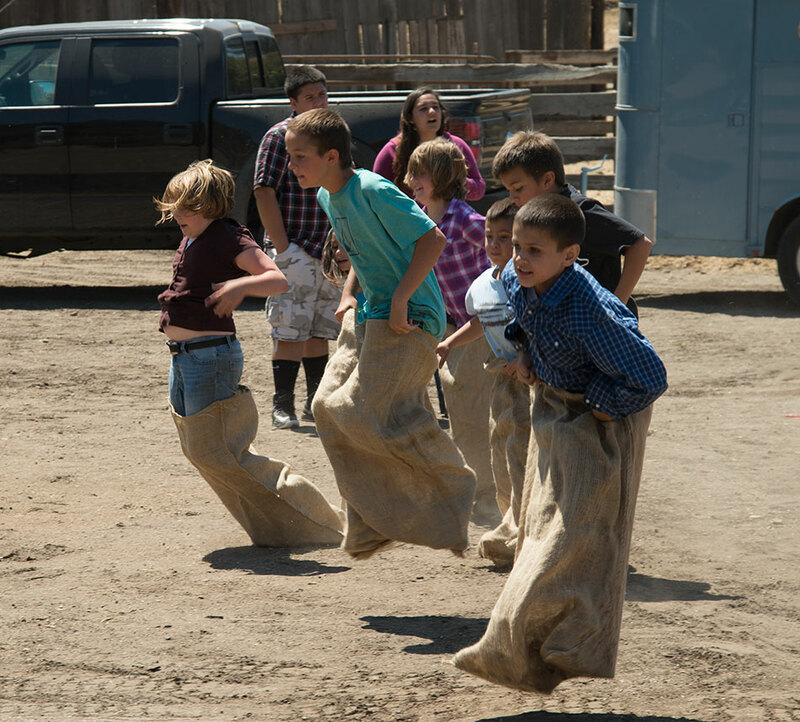 Depending on the occasion, games and hay rides also are part of the event. For me, Santa Maria barbeque means home and family, not just a good meal. 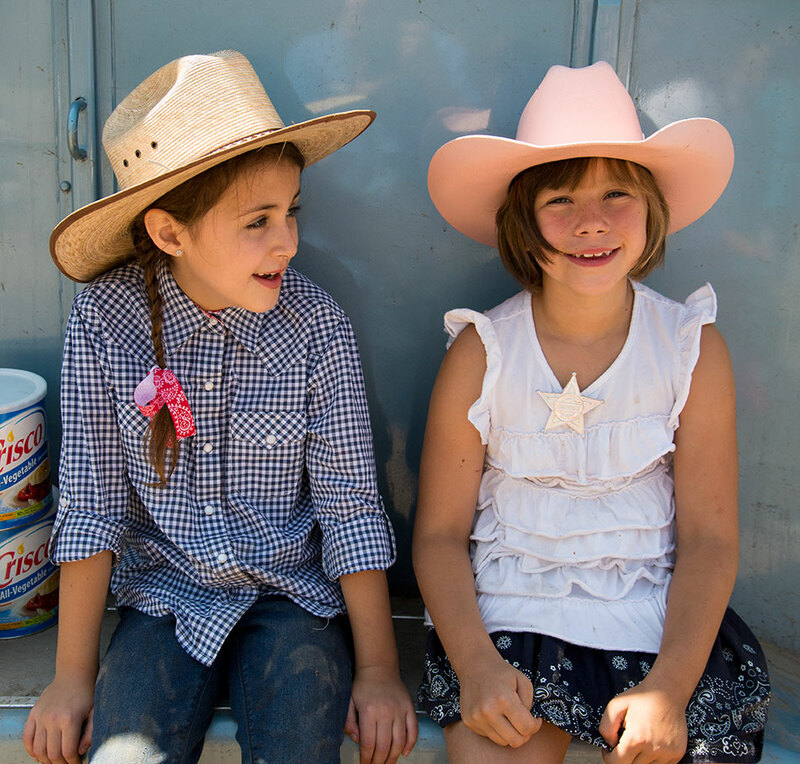 A Santa Maria barbecue crowd is one in which you magically feel instantly at home. One of the best parts is chatting with family and friends while hungrily sniffing the air to pick up the delicious odor of the grilling meat. Santa Maria barbeque, unlike sauced barbeques of other regions, concentrates on and brings out the taste of the meat. Santa Maria locals opine that other places need barbecue sauce because their cuts of meat aren’t as good as the valley’s meat. Until 2009, when the city imposed limits on the frequency and hours of barbeques to control the smoke, it was a rare weekend in the summer when one couldn't see Santa Maria barbeque being grilled somewhere as a fundraiser or community event. Even with the restrictions, barbeques are popular. On weekends, there are lines at the best barbeque restaurants in town.